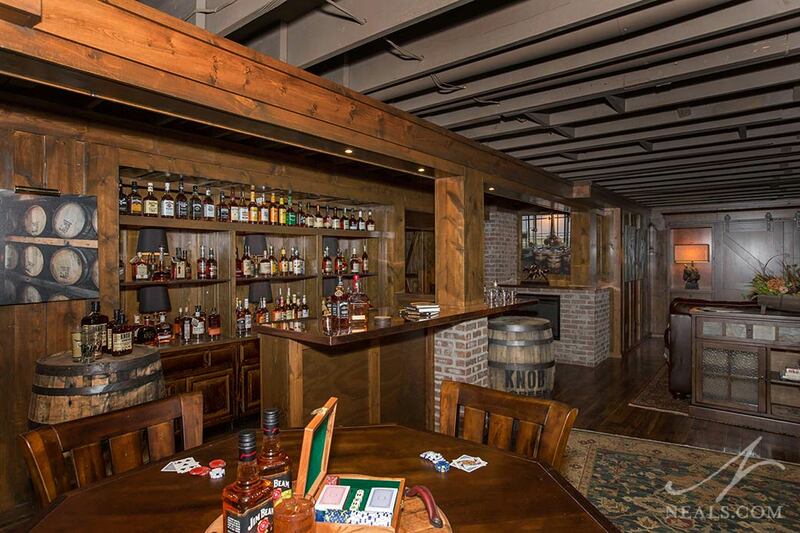 The main goal of this lower level remodel in Glendale was to create a functional space that pays homage to the rustic and traditional style of Kentucky's Bourbon country. The result is a unique space that mixes the feelings of a folksy saloon, moody den, and champion horse barn to create an imaginative space that's a sure winner. 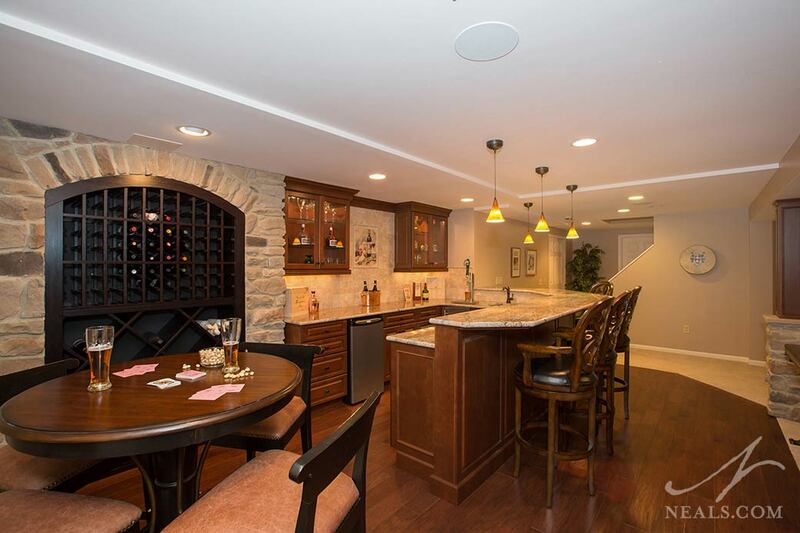 For this Western Hills lower level remodel, the homeowners were looking to create a multi-functional basement that allowed for various types of leisure and entertaining. Their goal was to have pockets of rooms that functioned well together, but for each to have a specific purpose, maximizing the usability of the existing square footage. 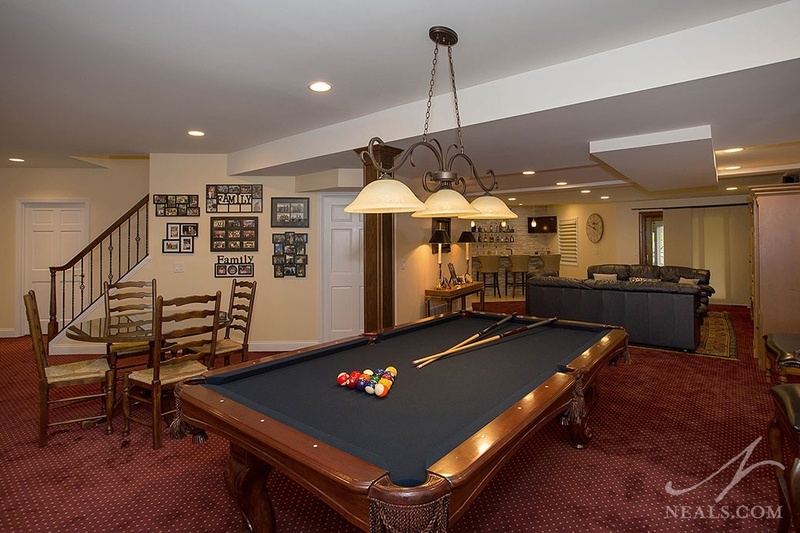 The homeowners’ wish list included space for a game room with a pool table, den, wet bar, home office, and a full bathroom. The blank slate of the basement provided an opportunity to explore a mix of traditional design to match the homeowners’ furnishings, and a transitional feel that would capture a more casual, relaxed feel in the areas their guests would gather.